A new Efteling map has arrived! Eftelwesley spotted it yesterday in the park and took a lot of photos of it, which can be seen here. Also click the image below for a closer look. 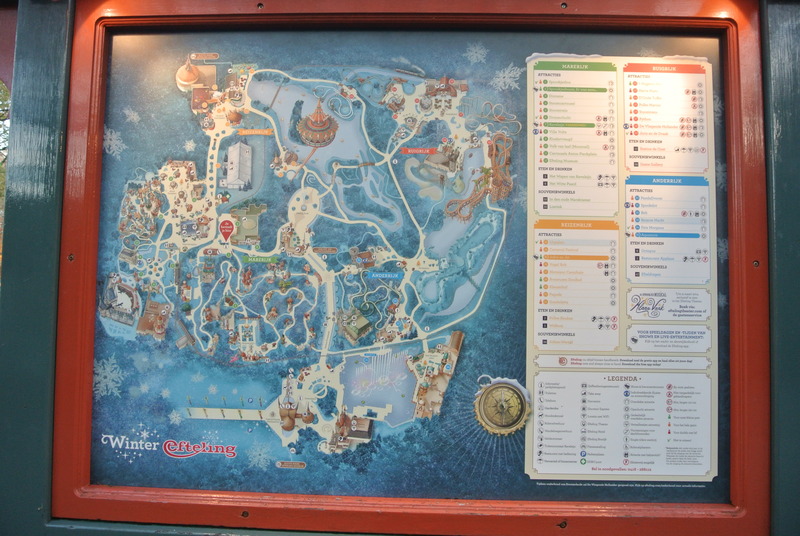 Compared to the old map (click here) it is a lot easier to see the main pathways in the park, and you’ll notice that the whole map has been turned, so that the entrance is now at the bottom middle of the map, facing the left, whereas it used to be on the bottom right-hand corner. It is definitely easier to see everything, we think, and you can also see more of the Fairy Tale Forest, which is nice. Of course, this is the Winter Efteling map, which is why it is in blue, but we’re sure we’ll see the same sort of map once Winter Efteling is over.